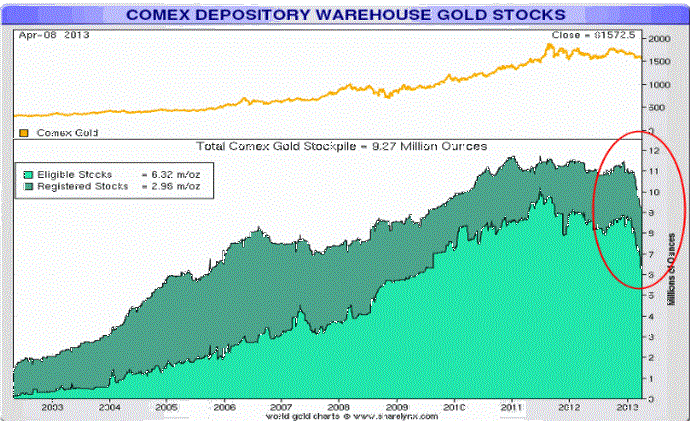 There’s been a recent huge draw down of physical gold at the New York COMEX and at the JPMorgan Chase depository. Look at the physical market draw down on the charts below. It has taken a drastic plunge. 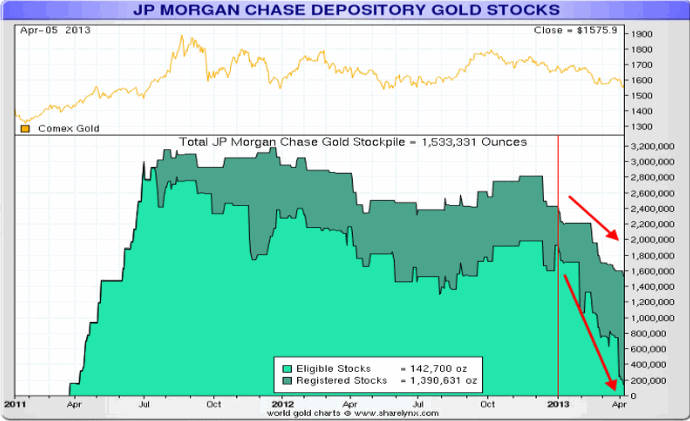 You can imagine the dilemma this is causing for the market interests behind these inventories. If the inventory runs out and one cannot meet deliveries, then it has to be bought on the open market. Not only that but it could cause a run up in prices that would hurt the shorts in the market. Bill Downey is an independent analyst involved in the study of the gold and silver markets since the mid-1980s. In addition to writing for Futures, he writes articles for public internet distribution as well as his own website at: www.goldtrends.net. E-mail him at Goldtrends@gmail.com.